3 Malvern Drive-In Classic Car & Bike Autojumble: Three Counties Showground, Malvern, Worcs WR13 6NW. 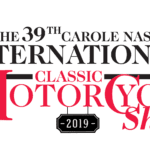 Tel: 01484 667776. www.classicshows.org Email info@classicshows.org. 3 LE Velo Lancs & S Lakes, Hebden Bridge (meet by canal). Tel: 01772 782516. 10 Anything Bike Autojumble: Bromsberrow Village Hall, Albrighton Lane, Bromsberrow, Ledbury, Herts HR8 1RZ (just off M50, jct 2). Tel: Sally 07968 649327 or email: sallyannpalmer226@gmail.com. 10 MECVC Durham Dales LDT. Starting near Stanhope. www.durhamdalesclassictrial.org.uk. Tel: Graham Lampkin 07989 446131. 14 LE Velo Lancs & S Lakes, Crook of Lune picnic site, near Caton. Tel: 01772 782516. 16 Scorton Auto & Bike Jumble: Scorton, North Yorkshire Events Centre DL10 6EJ. Tel: Bert 07909 904705. 17 Shropshire Vintage & Classic Motorcycle Show & Autojumble: Wistanstow Village Hall, Wistanstow, Craven Arms, Shrops, SY7 8DQ. www.shropshirevintagebikeshow.co.uk. Tel: 01588 672751 or 07968 618646. Email wistanstowbikeshow@hotmail.co.uk. 17 Straightliners: Santa Pod Raceway, Airfield Road, Podington, Wellingborough, Northants NN29 7XA. www.straightlinersonline.co.uk Tel: 01484 718164. 17 The Wistanstow Vintage and Classic Motorcycle Show and Autojumble. Email wistanstowbikeshow@hotmail.co.uk Tel: 07792 983020. 17 VMCC (Essex Section) Cobwebs Run: Writtle Green car park. Tel. Paul Fletcher 01245 321573. 23 Nifty Fifty Endurance: Route 34 Motocross Park, Down Farm Lane, Winchester, Hampshire, SO22 6RG. www.wheelersmce.co.uk. Tel. 01425 652147. 24 LE Velo Lancs & S Lakes, Burnsall (meet by small cafe car park). Tel: 01772 782516. 27 VMCC (Essex Section) Midweek Run: Tesco car park, Maldon. Tel: Clyde Cardy 01621 855899. 29-31 Haggs March Moto Madness UK: Haggs Bank Bunkhouse and Campsite, Nentsberry, Alston, Cumbria, CA9 3LH. haggsbank.com. Tel: 01434 382486 or 07919 092403. Email info@haggsbank.com. 30 LE Velo Northampton, Plume of Feathers, Weedon Bec, NN7 4QR. Tel: 01604 499858. 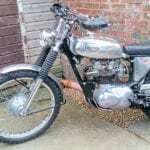 31 Spring Bikers Autojumble: Churchill Arms, Daggons Road, Alderholt, Fordingbridge, Hampshire/Dorset Borders, SP6 3AA. www.wheelersmce.co.uk. Tel: 01425 652147. Email gil@wheelersmce.co.uk. 31 Great Spring Autojumble and Show: Strathmore Hall, Forfar Mart, Market St, Forfar, DD8 3EZ. Tel: 01738 551308. 4 LE Velo Lancs & S Lakes, Garstang, (meet Riverside car park). Tel: 01772 782516. 4 Classic Motorbike & Scooter Meeting: 6pm-9pm. Langrick Road (B1192), New York, Lincolnshire LN4 4YD. Tel: 07971 495493 for further info. 6 LE Velo W Midlands, visit Velocette OC, bring and buy, Aston by Stone village hall, ST15 0TE. Tel: Roy Gimbert 01785 662594. 5 -16 It’s Good to Talk: UK Tour for Recovery 2019. 8-10 The Glebe, Chells Way, Stevenage, Hertfordshire, SG2 0DJ. www.livingroomherts.org/fundraisers/uktour2019. Tel: 07974 406188. Email: morganthemighty@hotmail.co.uk. 7 Hoghton Tower Sprint: Hoghton Tower, Hoghton, Preston, PR5 0SH. www.hoghtontower.co.uk. 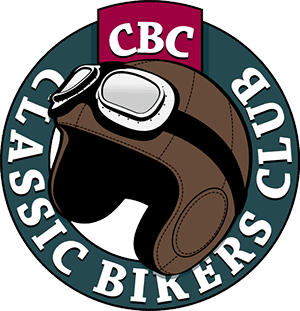 7 Classic Scooter Show: White Lion Pub, 46 High Street, Baldock SG7 6BJ. Tel: Geoffrey 07963 609143. 7 VMCC (Essex Section) Early Easter Run: Tesco car park, Maldon. Tel. Brian Irwin 01376 342885. 11-15 VMCC (Essex Section) Bluebell Camping Weekend: Museum of Power, Langford. Tel: Lesley Willmore 07971 266167. 13 Cirencester Autojumble: Livestock Centre, Castle Market, Driffield Road, Cirencester, GL7 5QY. Tel: 07831 421455. 14 LE Velo Lancs & S Lakes, Malham, (meet main car park). Tel: 01772 782516. 14 The 29th Bottesford Easter Egg Run at Rutland Arms PH, High Street, Bottesford, nr Grantham, NG13 0AA. Tel: John Bartlett on 01780 762531 or 07790 583082. 19-21 Tsunami Riders MCC’s Let Loose Rally: Eltham Town FC, 176 Footscray Road, Kent, SE9 2TD. www.tsunamiriders.org.uk. Email secretary@tsunamiriders.org.uk. 19-21 Festival of Power: Santa Pod Raceway, Airfield Road, Podington, Wellingborough, Northants, NN29 7XA. www.santapod.com Tel: 01234 782828. 20 North West VMCC joint section bike meet and display: Ghost Bikes, Mercer Street, Preston, PR1 4LQ. Tel: Henry Gregson 01772 686883. 20 Scorton Auto & Bike Jumble: Scorton, North Yorkshire Events Centre, DL10 6EJ. Tel: Bert 07909 904705. 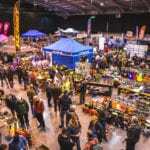 20-22 Maidstone Tattoo Extravaganza: Detling Showground, Detling, Maidstone, Kent, ME14 3JF. www.maidstonetattooextravaganza.co.uk. Email info@maidstonetattooextravaganza.co.uk. 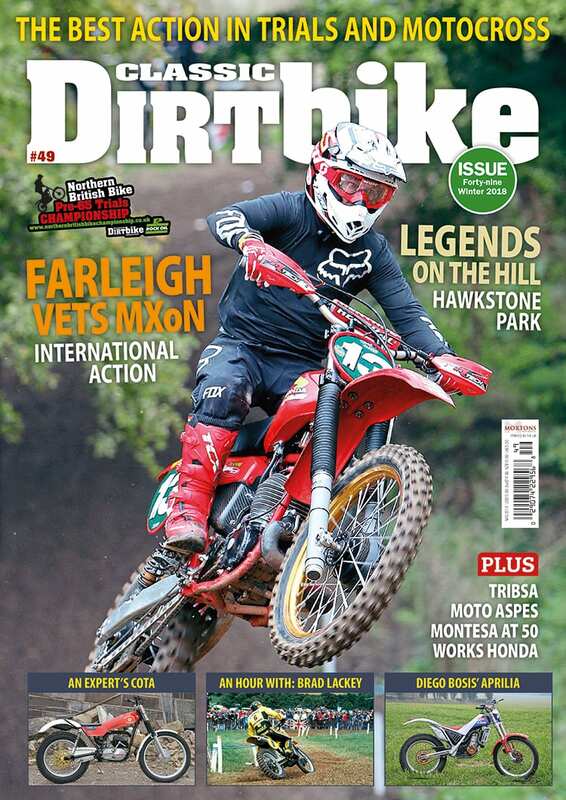 21 Reading MAG Easter Bike Show: Reading Abbey Rugby Club, Peppard Road, Emmer Green, Reading, Berkshire, RG4 8XB. www.readingmag.org.uk. Email bikeshow@power247.co.uk. 25 LE Velo Lancs & S Lakes, Ribchester (meet main car park). Tel: 01772 782516. 27 Sunbeam MCC AGM: Llama Centre, Wych Cross, Forest Row, RH18 5JN. 27-28 The Jukebox Show & Retro Fair: Brighton Racecourse, Freshfield Road, Brighton, East Sussex, BN2 9XZ. www.jukeboxfair.co.uk. Tel: 0208 393 2444. Email info@jukeboxfair.co.uk. 28 Sarum Spring Bike Show: Laverstock and Ford Sports Club, 23 Church Road, Laverstock, Salisbury, Wilts SP1 1QX. Tel: Chris 07518 638186 or Tags 07921 854834. Email sarumbikertrev@gmail.com. 28 The 12th Suffolk Classic Motorcycle Show: Stour Valley Business Park, Brundon Lane, Sudbury, Suffolk, CO10 7GB. Tel: 01787 881803.